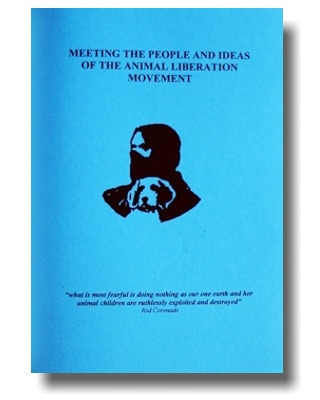 Meeting the people and the Ideas of the Animal Liberation Movement ist ein Zine, in dem ihr Menschen (und ihre Ideen) kennenlernt, die sich als Teil der Animal Liberation Front begreifen. Englisch. This booklet was composed for you to meet the people behind the Animal Liberation Front. The editors have taken several interviews with activists who have been imprisoned in the past for A.L.F. activities. Also included are several background- and informational articles about actions against mink farming and laboratories.